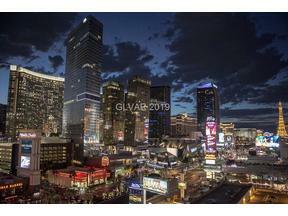 Clark County NV has a population of over 2 million people in 2019. Despite that, we have very few high rise condo towers. 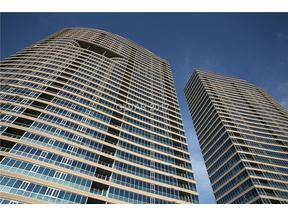 With the continued population influx to our Tax Free State, high rise condo seem well poised for appreciation potential. 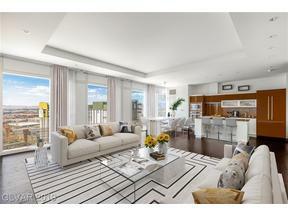 Investors and primary and secondary homeowners alike, find the lock and leave ultra luxurious lifestyle very appealing. That said, these luxury buildings vary in some key factors that govern the way they operate. 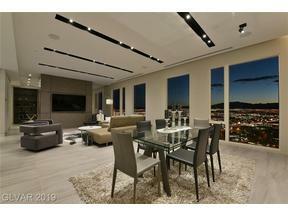 Below are out TOP FIVE Things to Consider in any Las Vegas high rise condo purchase. The Stark Team has sold each and every luxury building from plans to resales. 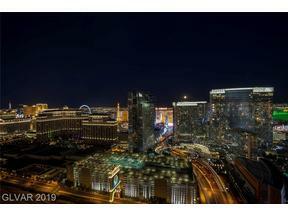 We can give detailed answers on each building in a flash – pretty much like walking Encyclopedias of all things Las Vegas high rise related…here are some important items for potential condo owners to consider. How Much Are the HOA Dues and What do They Cover? Some buildings calculate their HOA dues on a sq. footage basis. For example, at The Martin, in 2019, they are about 61 cents per square foot. 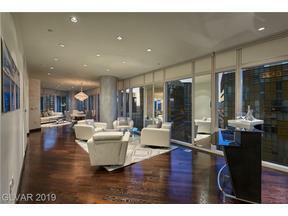 At Metropolis, all two bedrooms units, regardless of size pay the same dues. 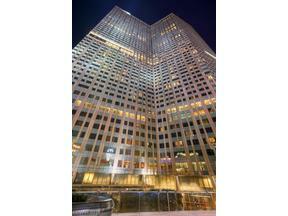 AT Veer Towers, each unit is assigned its own dues factor. The same floorplan could vary greatly in size depending on floor, because of the towers’ slant at opposing angles. 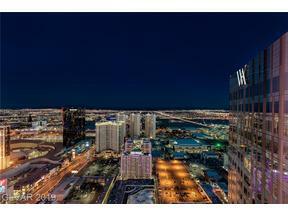 All Las Vegas high rise condos HOA dues cover insurance on the structure, water, grounds maintenance. Regarding insurance, some of the Master HOA policies cover replacement of the interiors ( cabinets, plumbing etc. and others only cover replacement from the walls outward. We suggest our clients give a copy of the Master HOA Insurance Certificate of Coverage to their own insurance agents who can then recommend proper coverage. A separate condo owners liability policy is a must in our opinion. Next – ask about utilities. All owners pay their own electricity – but some buildings have each unit individually metered, and others bring the electricity into the tower in blue ( lower cost) and the HOA bills each unit owner monthly fir usage. Some HOA dues include sewer, other’s don’t. Some use gas for cooking, and the gas is included in the HOA dues, others are all electric. Lastly, ask to see the building amenities as these are part of what the HOA dues cover. What is the Parking Situation & How is Use Conveyed to a New Buyer? Some buildings are Valet Only. Some have Valet AND a dedicated self parking spot. Some only have a dedicated space and NO valet. Some of the buildings have the HOA own the parking spots and they are considered limited common elements and each owner would then have use of the spot. The parking space could be re assigned by the HOA. Others have the use of the space DEEDED with the unit. Therefore use of the space would not be able to be assigned by the HOA. Some have use of two spaces. Queensridge Towers comes with private garages within the master garage. 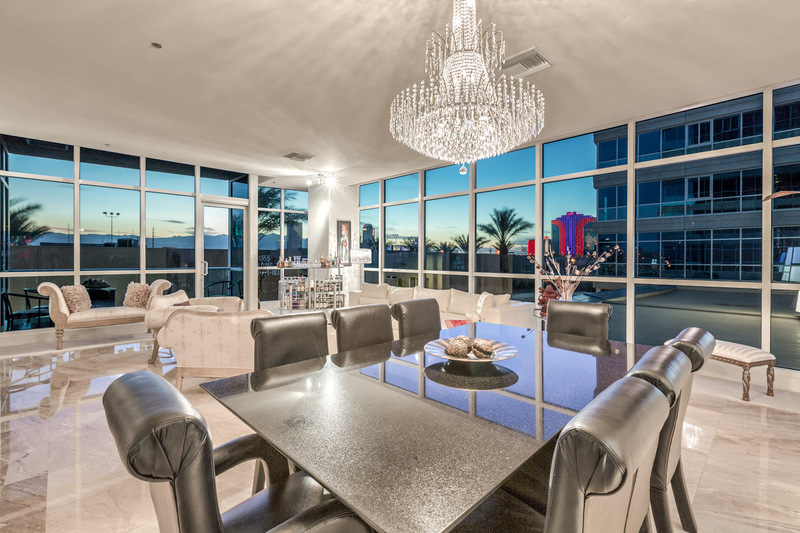 Before buying al Las Vegas high rise condo , determine if you have use of or ownership of the use of that space and require documentation. Go look at the garage space, see if it is near a pole, car doors can be opened easily, etc. Make sure it exists as deeded in the preliminary title report. Storage Space ownership and usage falls into the same guidelines as above. The photo below is of the beloved twin state of the art coffee machines at The Martin, in the Owner’s Library Lounge. It is important to determine what is included with your monthly HOA dues payment. At The Martin, there are DUAL State of the Art coffee machine, with a Coffee and Tea Bar stocked with to go cups, lids, creamers, English Teas. At Turnberry Place, owners have 24 hour limo service. Panorama Towers has driver service daily as well. The Martin has driver service Thursday through Sunday – evening only. Some of the towers include cable and web services in the Dues. 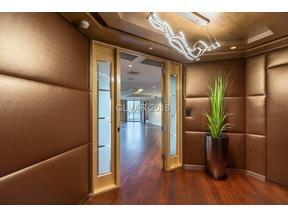 Turnberry Place & Towers include use of a storage unit for each owner. 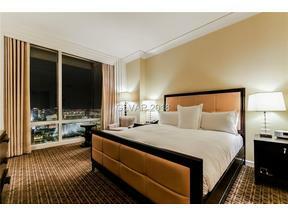 There are business center, concierge services, on site dining, gym, pool, spa, cleaning, rental office. Find out what perks each building has to offer. What Are the Rental Restrictions? The hotel-condos permit nightly rentals. Residential high rises do not. Some have 3 month minimums, other 6 month to a year. Some, one per year, 6 months minimum. Know what the CCR’S will permit. Are there Transient Rental Fees/Cost? Hotel condos which permit short term rentals have an extra layer of fees on top of the monthly HOA dues tat cover the handling of short term guests – as this is an increased cost. What Type of Security is Offered? 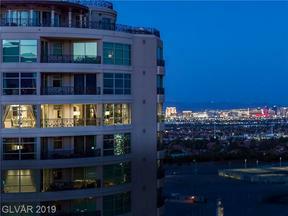 All Turnberry built high rises in Las Vegas are guard gated. 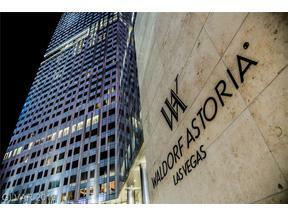 That included The Signature at MGM Grand which is a condo hotel that permits nightly rentals. Some have floor access control and each owner needs a programmed FOB device to swipe in the elevator to get to their own and amenity floors. The towers protect the elevator core and it cannot be accessed unless opened by staff or owner FOB. Most have cameras, some have roving patrol. 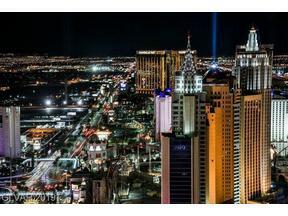 This entry was posted in Las Vegas Luxury Condos and tagged Buy Las Vegas Strip High Rise, Buying tips for Las Vegas Condos, Las Vegas High Rise Condos, Las Vegas Luxury Condo Rules and HOA, Panorama Towers HOA dues. Bookmark the permalink.